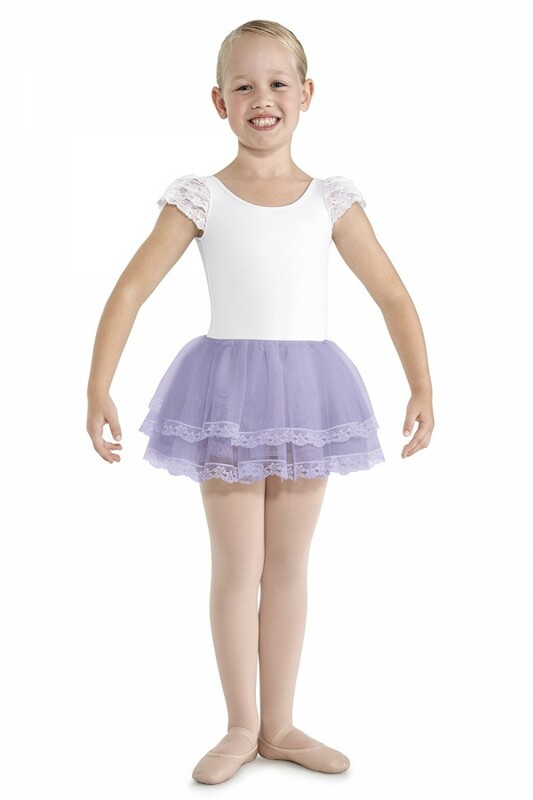 This multi-layered frill lace hem tutu skirt is ever so dainty. Pull on styling with soft interior elastic waistband is easy to wear. Pair with a leotard and tights to complete the look. Multi-tiered style is great for class, costume or even dress-up.